FAIRFAX, Va- Social engineering has brought us the current political and social climate that we see today. It’s legitimized and validated people who harbored cultural biases. Nabra had three strikes against her, she was black, Muslim, and a female, all three components put her at increased risk of social ostracization and potential violence. Published on Mint Press News June 22nd, 2017. 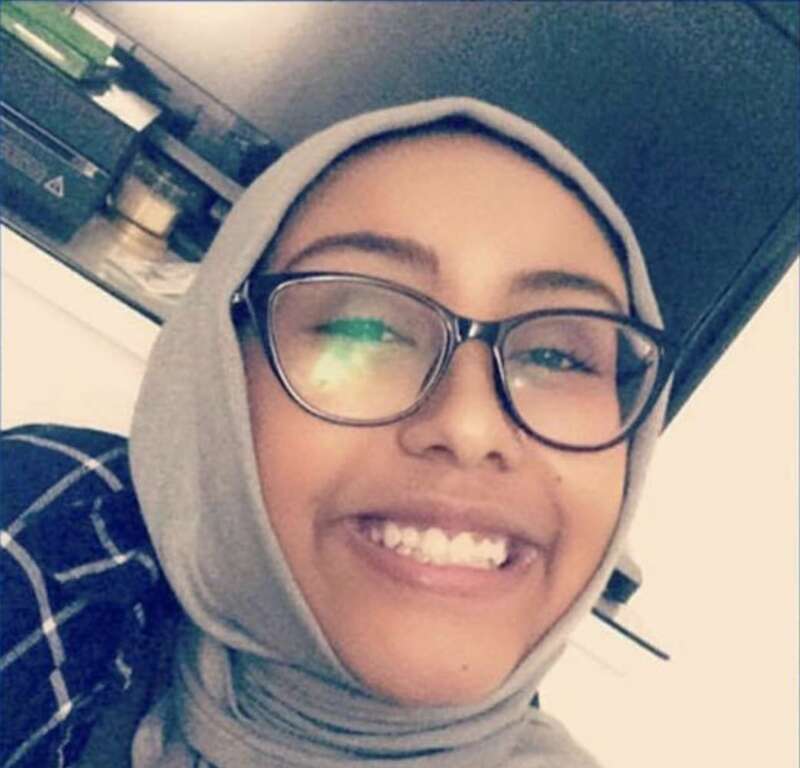 Nabra Hassanen, a 17-year-old popular and dedicated student had just finished her sophomore year at South Lakes High School in Reston, Va. her vibrant smile is one that will be engrained in the minds of many including mine. Her short life was tragically snatched from her as a result of a very unfortunate series of events. Early Sunday morning Nabra attended Ramadan prayers and then left the All Dulles Area Muslim Society (ADAMS) Center Mosque with a group of 15 friends to break their fast at a local restaurant by foot. One of her friends was on a bicycle got into a verbal altercation with a man in a red car. Sources report that he threw his drink at the vehicle during this altercation which enraged the driver. After exchanging some words 22-year-old Darwin Martinez Torres the driver drove over the curb charging towards the teenagers. He then exited his vehicle and ran after them with a metal bat. The group of 15 teenagers ran back to the ADAMS Center Mosque. Unfortunately, while trying to escape Nabra tripped over her abaya (a traditional Muslim attire) and fell which made her an easy prey for Darwin. He proceeded to beat her with the baseball bat. After she became unconscious he dragged her into his vehicle and took her to another location where he allegedly raped her, and mercilessly beat her to death with the metal baseball bat. Her beaten and discarded body was found Sunday around 3 p.m. floating in a pond in Sterling, Virginia. Autopsy results showed that Nabra suffered blunt force trauma to the upper body. Torres, 22, is in Fairfax County jail custody for the attack on Nabra Hassanen. Torres, a national of El Salvador, entered the United States illegally, Immigrations and Customs Enforcement spokesperson Carissa Cutrell told The Daily Beast. Cutrell said ICE has asked to take custody of Torres after he’s released from Fairfax County jail. He has been charged with second-degree murder and is being held without bail pending a court appearance on 19 July. Normally I do not get a chance to write much about domestic issues because I’m inundated with foreign political affairs, but I simply could not get Nabra’s beautiful smile off of my mind. Her life was taken via a brutal, unnecessary, and clearly, hate-filled crime. The police want to write this off as a road rage incident. While waiting for a vigil after the teen’s funeral and burial, Fairfax County Police Chief Edwin Roessler Jr spoke with the Associated Press about the community’s concerns. Roessler said police had “absolutely no evidence” that her killing was motivated by hate but he acknowledged that many people still strongly felt it must have been a hate crime. Virginia law defines these, in part, as crimes that try to intimidate or instill fear in people targeted for their race or religion. “That’s the myth, isn’t it?” the chief said. He urged anyone with evidence that Nabla’s murder was motivated by hate to come forward, and “if evidence develops of a hate crime I promise we will charge to the highest levels”. Thousands have signed a petition calling on state and federal officials to investigate the 17-year-old’s death as a hate crime. But the case, like others before, highlights how challenging it is to apply that label and the narrow criteria it needs to meet. How could this be anything other than a hate crime? Even if it doesn’t necessarily meet the official requirements of being a hate crime. What started off as road rage quickly developed into hate. Hate was surely involved. Did he hate her headscarf? Her ethnicity? Her clothes? The fact that she’s a female? Her religion perhaps? Whatever the reason may have been, something enraged him, something sparked feelings of hate in this man’s cold heart that quickly turned into a wild fire that engulfed him and made him act out in a savage manner. Most likely she was not chosen but simply happened to be the easiest target for Torres to commit his hate filled crime. He hated someone, something, maybe even himself but hate was present at that moment. It most certainly filled his heart and mind. 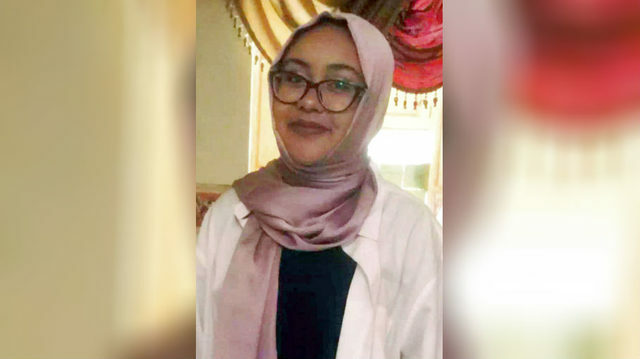 Darwin has been caught and charged for Nabra’s brutal murder. He is no longer a threat to society but it’s really frightening to think that any one of us could cross paths with someone like Darwin. Someone who sees our life as a toy in their hands. Someone who can find a reason within seconds to hate us. A ticking time bomb so to speak ready to unleash the hateful monster from within. Hate is an intoxicating emotion. It truly can cause us to act out of character and do things we normally wouldn’t dare do. People hate others for a vast array of reasons and usually, those feelings stem from deep within themselves. You can not possibly truly love yourself and hate others. This is not to be confused with narcissism. I mean to truly love oneself and all the positive attributes one has. Anyway, that one wants to look at this tragedy hate was surely involved. The Washington Post reported Nabla was the first born of four daughters. The Hassanen family lived in a modest apartment near Washington, D.C., usually overflowing with friends and laughter. “It’s a family where if you’re feeling down and you need to laugh, this is where you go,” Samar Ali, 26, who grew up in the Hassanens’ apartment complex told the Post. “Why would you kill a kid? What did my daughter do to deserve this?” her mother said to the Post. A South Carolina man has been arrested for setting fire to a memorial for slain Virginia teen Nabra Hassanen. Washington D.C. residents gathered at the capital’s Dupont Circle on Tuesday night to grieve the 17-year-old, who was walking back to her mosque in Fairfax County when she was attacked and possibly sexually assaulted by a road rage driver. D.C. police confirmed to the Daily News that officers were called Wednesday morning after a fire was set to the memorial at a fountain. About 5,000 mourners have attended the funeral of a Muslim girl whose beating death, blamed by police on a motorist’s road rage, has some people in her community fearing for their safety. Several thousand people attended a Wednesday evening vigil, in Reston, for 17-Year-Old Nabra Hassanen, a Muslim student killed near a mosque and found in a river earlier this week. The Muslim and Jewish communities took part in an interfaith ceremony to celebrate her life. Participants released dozens of balloons into the air at the conclusion of the event. Across the country, Muslim leaders have been sharing a GoFundMe page to help raise money for Hassanen’s family. Muslim leaders across the country have been sharing this GoFundMe page that has raised more than $20,000 to help support the family. Thank you Habib.. Nabra’s brutal murder is such a tragedy.